Currently working as postdoctoral researcher at the Technology Adoption Group at Maynooth University School of Business, and previously on The Programmable City at the National Institute of Regional and Spatial Analysis, Maynooth University. Before, I was Associate Lecturer at Sociology Goldsmiths, University of London. Visiting Lecturer @ University of Antwerp (Smart City Summer School), @ the Royal Holloway (MA in Cultural Geography), @ University of Modena (MA in Economic Geography), and @ CAPA London (Urban Studies). I was AHRC-CHASE scholar in 2013 for the ‘Going Digital’ programme →→→ see my projects on Open Science Framework →→→ and my profile on the Zotero Community. 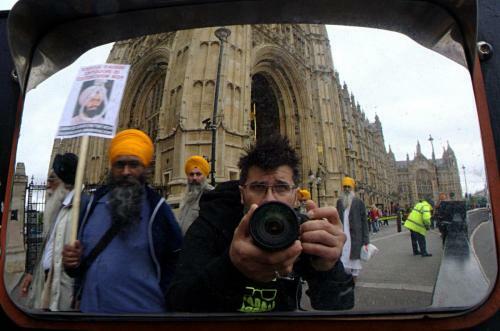 1984 Sikh rally in London, 2014 c.a. My PhD thesis, Walking on the Rim: towards a geography of resentment, was discussed with Prof. Doug Harper (Duquesne University and IVSA president) and Dr. Alison Rooke (Goldsmiths and CUCR co-director). My patient supervisors were Prof. Caroline Knowles and Prof. David Oswell (both at Sociology, Goldsmiths). My Final Visual Project for the MA in Photography and Urban Culture is published on the Italian magazine Una Cittå n.144/2007. I am Zotero and FOSS evangelist, a ‘regular’ at the Wireless Wednesday workshops in Deptford, London. My current settings: the Debian-based Point Linux on my Lenovo X230 and the sturdy Linux Mint on my PC at home.